The 12th season of the Bigg Boss premiered on September 18, 2018, is the much-awaited show of the year with every individual audience trying to figure out who the fortunate contestants would be and how their bossy story formation takes place? This 12th season gulped the surprise of forming up a pair of the commoners or maybe our neighbours, who knows and well-known celebrities as well. Let the good discussion and a game of probability starts with my favourite star. Little did I knew, my childhood crush of "Shararat", TV show, Dhruv, would be playing here as well, not the basketball like he used to but surely the real-life game. Karanvir Singh Bohra, an actor, producer and a TV anchor fortunate enough to work in the renowned shows like "Kasauti Zindagi Ki", "Qubool Hai ", "Jhalak Dikhlaja season 6 "and many more. 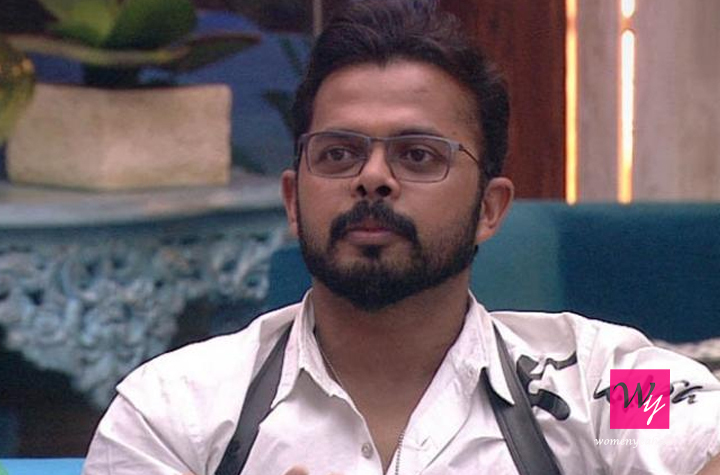 He is blessed with twins and a beautiful wife would surely be giving us a talk over a cup of tea while watching this season 12 of the Bigg Boss. I remember the bhajan my mother used to hum named "Aise Lagi lagan", credit goes to Anup Jalota, an Indian singer and musician and also the Padma Shri awardee in 2012 in the field of art. Indian classical music is expected to entertain us as usual with his new hidden talents. The best surprise he carried this time is his 37 years younger beautiful girlfriend "Jasleen Matharu", an Indian singer, actress and also a trained dancer ! whose solo debut as a singer is in the album love day love day. We wish the lovebirds a lovely journey. Shristi Rhode, whose career grew fair after the advertisement of fair and lovely is an acknowledged TV serial actor and daughter of a known TV industry person, started her debut in "Ye Ishq Hai" is all good to play her part in the show as it's going on. Well, you better find out about who her father is! Next is gonna be the Sasural Simar Ka fame Simar, whose real name is Dipika Kakar Ibrahim. Recently married in February this year to her co-star Shoaib Ibrahim from the same set. She grabbed every Indian heart in the show and was a competitive contestant of Jhalak Dhikla Ja 8 and Nach Balliye 8. Whether she will be able to do it in Bigg Boss season 12 is still a thing of mystery. From being a right-arm fast-medium-pace Indian bowler to trying his luck in politics to the acting debut in films like Aksar 2 and Malayalam film Team 5 to the dancing opportunity in Jhalak Dhikla Ja 7 and then finally to the Bigg Boss season 12. Who knows what fits for us? Life is good to try our hands in every stuff we aspire to do. Oops! I forgot to tell yea I am talking about Sreesanth. Well, most of you must have guessed it, right? Neha Pendse, an Indian actress who introduced herself from the small role of Chaurangi from Devdas, a lead role of Sanjana in the famous comedy show "May I Come In Madam? " and she has also acted in Marathi, Tamil, Telugu, Malayalam and Hindi films is all set to take off in this season of Bigg Boss too. For her sky is no limit !! Ever wonder who is the singer of the song "humane ke chhodi ki " from the all-time favourite movie "Gangs of Wasseypur 1?" Deepak is an Indian singer and a you-tuber. 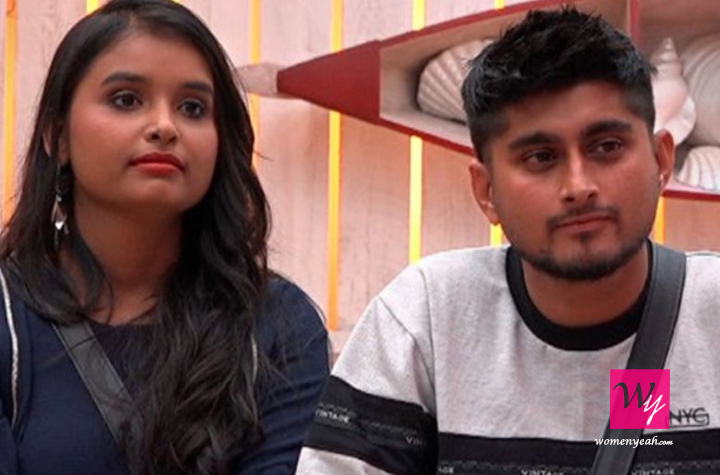 He will be seen with his girlfriend Urvashi Vani who is an aspiring singer from Bihar, India who is also a die-hard fan of Deepak. Wohh! Love is everywhere. Another commoner pair who are all set to hit it off. Saba Khan, a receptionist and a younger sissy Somi Khan. Two of the five children of their strong mother, whose father left them early in their life. Hope to have them a great experience here in this season 12 of Bigg Boss. Who knows when we get the opportunity to shake yourself in the most famous and awaited TV reality shows of India. 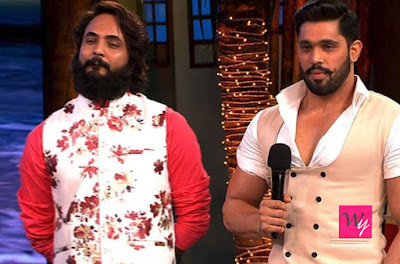 They are the most unique commoner Jodi with the former being a self-claimed farmer in controversies and the latter one a fit and healthy entrepreneur from Indore who is gonna impress every lady with his perfect fit body and his own Mercedes Benz! Let's see how far they take the show. Roshmi Banik, as the "O" hints in the name is an Indian model from Kolkata. Such a charming face lady who successfully runs a business of leather import-export. 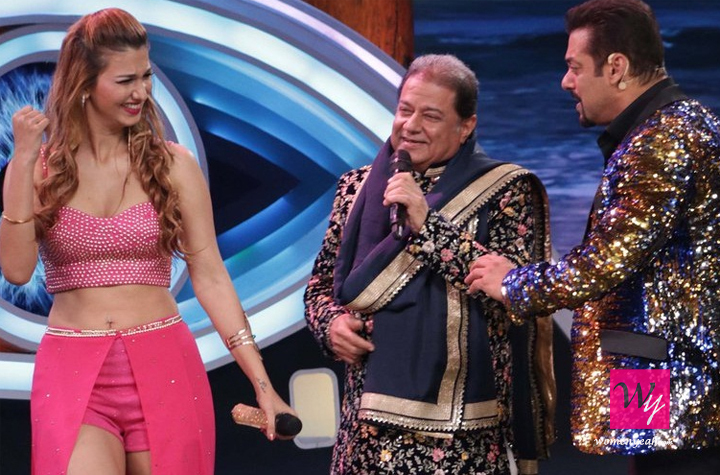 Unfortunately, her reality TV show time was not enough and ended in the second week of the show along with her partner Kriti Verma, GST inspector by profession and a huge fan of our Sallu Bhai! who has also showed herself up in Roadies Xtreme? 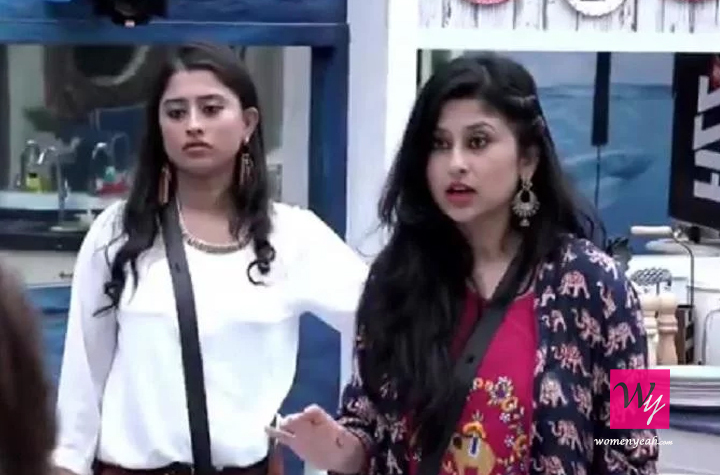 But yes, Roshmi have found a friend of life in Kriti through our season 12 . Not a bad ending though! Finally, the twelfth contestant pair is here. Romil being a lawyer from Haryana and his friend Nirmal Singh, a Policeman. 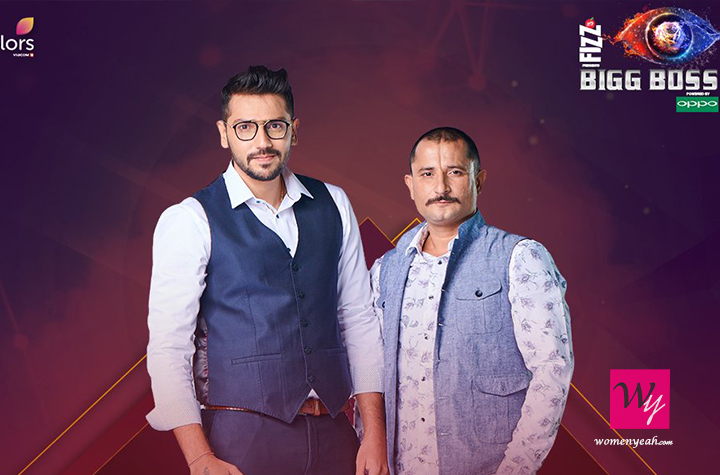 Symbol of true friendship where Nirmal choose Romil to stay in the show when being asked to the pair after getting nominated for elimination. A friendship that started from the cricket ground would carry on to be so real, unlike the reel friendship! 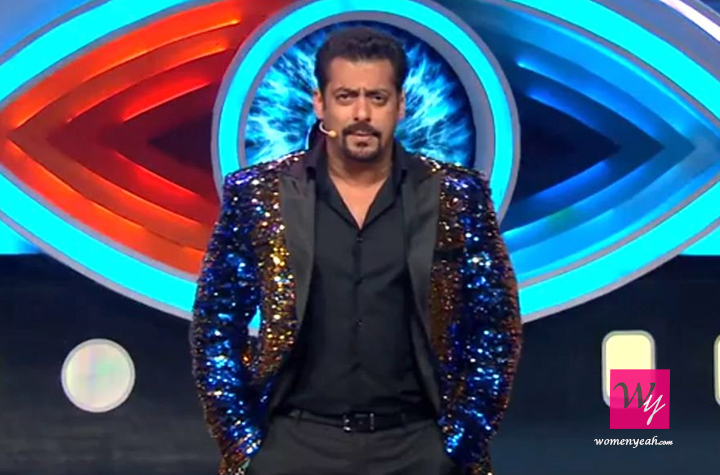 Have a good time for all the Bigg Boss fans!